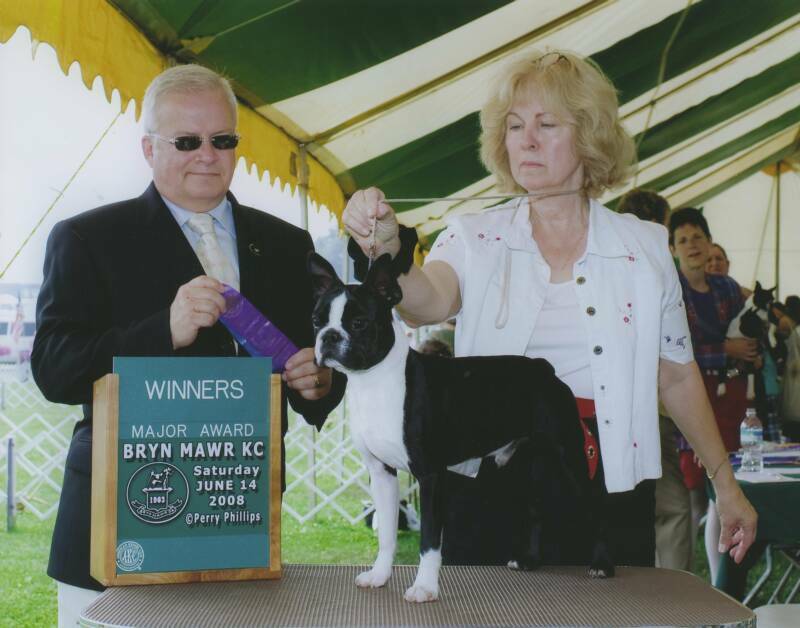 "Diego" shown above being awarded "Best of Winners" a Major Win at 7 months of age under Judge Mr. Dennis McCoyat Bryn Mawr KC on June 14th 2008. 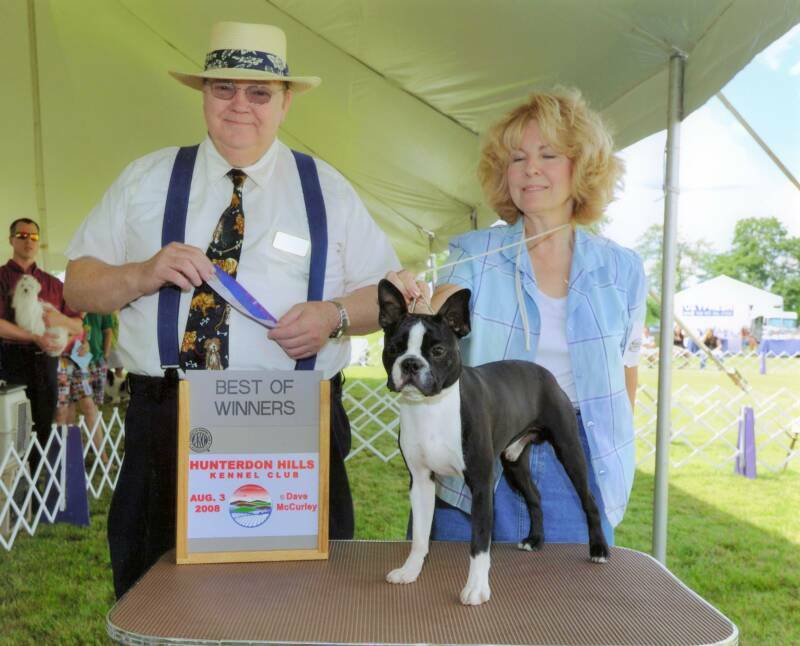 We thank Judge McCoy for appreciating his attributes and type. was quite taken by his exquisite movement and style.